The now retired K9 Greg made one of the biggest drug busts in Wisconsin. The Madison Police Department K9 Unit was established and has expanded in large part due to our dedicated sponsors. Our first two police dogs were purchased thanks to a local radio station, which agreed to become a sponsor in exchange for naming rights of the dogs. Since then, other local businesses and even individuals have generously sponsored police dogs in order for us to reach our goal of having six teams. Although we reached our goal, we still need additional sponsors. The average career of a police dog spans six years. Greg, one of the original police dogs, has already retired. Luckily, we were able to find a sponsor in time to replace him, but other police dogs are nearing retirement. Please help us keep our city safe by sponsoring a police dog. 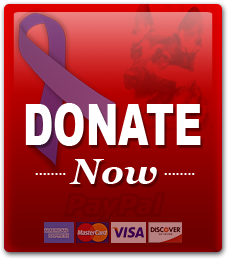 Another way to show your support for the K9 Unit is by sponsoring an event. Capital K9s hosts two major fund raising events each year. There are a number of costs relating to permits, venues, advertising and more. Those costs take away from the funds that could be going to caring for the police dogs. We rely heavily on fundraisers in order to maintain a superior K9 Unit. Sadly, however, on a couple of occasions we have failed to secure title sponsors for large events.